What is it that separates Sherlock Holmes from his long-suffering friend and side-kick Dr John Watson? What makes Holmes such a superior detective, able to piece together clues and solve problems that seem elementary to Watson only in hindsight? And can we - most of us Watsons ourselves - ever harness a bit of Holmes's extraordinary powers of mind, not to solve crimes, but simply to improve our lives at work and home? The answer is yes, and in Mastermind, psychologist Maria Konnikova shows us how. Using plots and passages from the wonderfully entertaining Holmes stories, she illuminates how Arthur Conan Doyle's detective embodies an ever-present mindfulness, and how this active mental disposition proves foundational to his success. Beginning with Holmes's concept of the 'brain attic' - a metaphor for the information we choose to store in the mind and how we organise our knowledge, Konnikova unpacks the mental strategies that lead to clearer thinking and deeper insights. 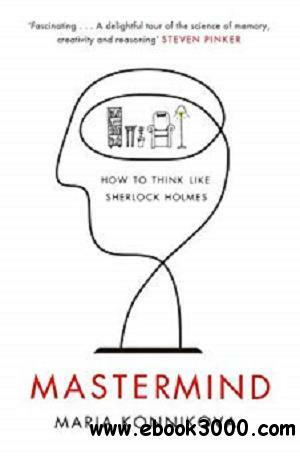 Moving through principles of logic and deduction, creativity and imagination, Mastermind puts 21st century neuroscience and psychology in service of understanding Holmes's methods. With some self-awareness and a little practice, we can all employ these methods to develop better strategies, solve difficult problems and enhance our creative powers. Writing for Holmes fans and casual readers alike, Konnikova has translated what so many of us love about the great detective into a remarkable guide to upgrading the mind.